UV15X-6Med-2 is a one part UV curable system with robust flexibility. This system withstands severe thermal cycling as well as thermal and mechanical shocks. It is a USP Class VI approved medical grade compound that provides good chemical resistance to water, cleaning agents, chemical sterilants, EtO and gamma radiation. 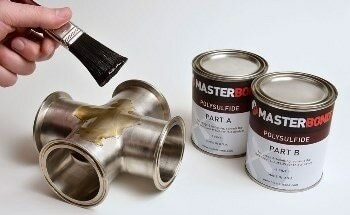 This moderate viscosity formulation is fast curing, optically clear and possesses superb non-yellowing capabilities. 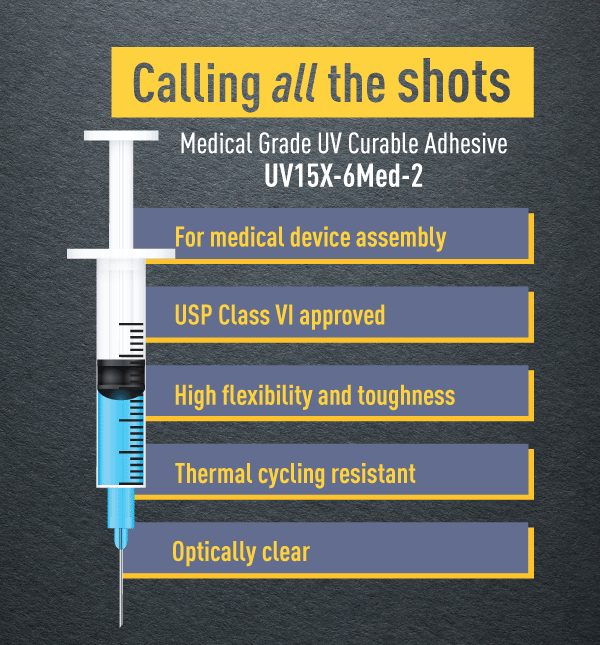 UV15X-6Med-2 bonds well to a variety of substrates, especially glass, polycarbonates and acrylics as well as many other plastics, metals and rubbers. UV15X-6Med-2 is thermally and electrically insulative with a service temperature range of -80 °F to +250 °F [-62 °C to +121 °C].